When I was in the military I was in charge of some very large maintenance operations. One of those maintenance assignments was with the 82nd Signal Battalion. In addition to a large wheeled vehicle fleet we had over 300 generators to service and maintain. You might say this was my early indoctrination in generator care and maintenance. When I retired from the Army I went to work for a RV dealership. When camping season arrived I noticed the service department was booked with appointments for generators that either wouldn’t start, or if they did start had that all too familiar surging sound. I immediately knew this was a result of letting the generator sit in storage without starting and exercising the generator. It might seem odd, but the lack of use is one of the biggest problems with gasoline generators. Fuel can start to break down in as little as one month. When this happens the fuel starts to varnish and gum up resulting in hard starting and surging problems. Fuel related problems are the number one reason for exercising the generator, but there are other reasons too. Moisture build-up can result in damage to the generator. When you exercise the generator it heats up the generator windings and eliminates moisture build-up. Last but certainly not least exercising the generator helps lubricate the engine seals and internal components, and helps prevent carbon build-up. That is 3 good reasons to exercise your generator, but how do you go about it? Good question. Safety First! Whenever you are working on, or using your generator there is the threat of carbon monoxide poisoning. 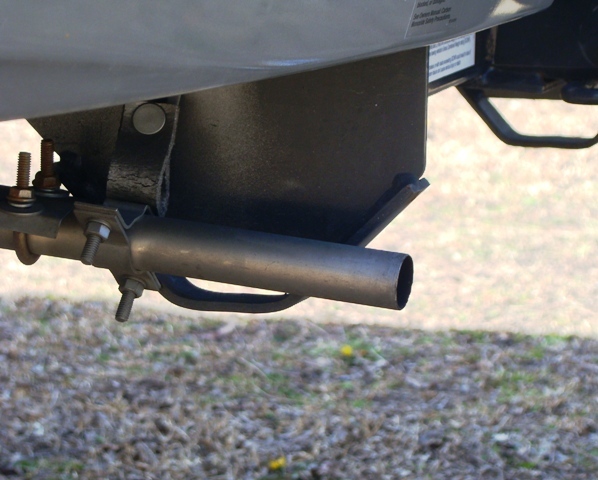 Always inspect the generator exhaust system prior to using it. Do not operate a generator with a damaged exhaust system. 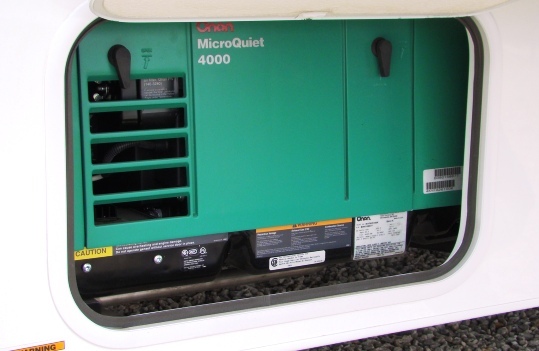 If you’re using a portable generator set make sure the exhaust is directed away from the camping area. Test your carbon monoxide detector for proper operation prior to using the generator. Another thing you might find odd about generators is they are designed and intended to run with a load, as opposed to no load. By load I mean an electrical load. Generators are rated in kilowatts (KW). One kilowatt equals 1,000 watts. So a 4 KW generator would be a 4,000-watt generator. A generator need to be exercised at a minimum of 50% of the rated capacity. For example, you would exercise a 4000-watt generator with a minimum 2000 watt load. This is roughly equivalent to running one RV air conditioner. The next part of the generator exercise equation is how long and how often you exercise the generator. The answer to that is to exercise the generator for a minimum of 2 hours every month. Generator Tip: It’s always better to exercise the generator for longer periods of time than it is to run it for short periods. Check your generator owner’s manual for load ratings specific to your unit. 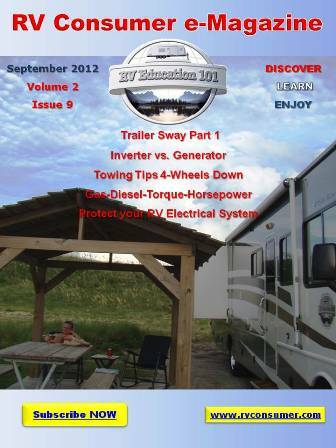 If you don’t have the owner’s manual I am including some basic load ratings for typical equipment used in RVs.